"I gotta say, this one was good. So much feels and graphics and direction for fight scenes were just genius! Script could use a little tweaking but still good. Acting was superb!" - Fred Lo, theater actor. "My honest opinion about The Amazing Spider-Man 2 is that it's a obvious upgrade from the first, the dynamic relationship of Gwen (Emma) and Peter (Andrew) was the movies strongest suit and (considering that I already knew what was going to happen based on the books) it still struck me and had a great emotional impact towards the end. A lot of great action exhilarating sequences from the villains and Spider-Man himself. 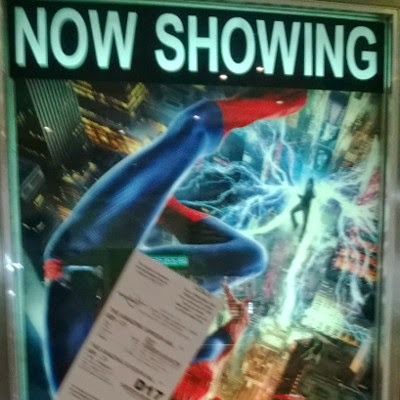 As a web head fan I thoroughly enjoyed my time with the movie and now eager to see where the 3rd installment leads next," Dio Ortigas, comic book enthusiast.